No Doubt in that, Windows is the widely used operating system. But if security is your primary concern; then you should know that. The Windows 10 is no more secure than Windows 7. This year Microsoft is releasing too many security patches because there are too many security bugs in Windows 10. According to Microsoft, Windows is more resilient to attack than Mac OS. I am not saying that Windows 7 was the most secure OS. Windows 7 was supposed to get patch updates until 2020. But, Microsoft has changed their statement after releasing Windows 10. So, this article is about some security bugs in Windows 10. Microsoft can solve these bugs, but not even be trying. Windows 10 cost around $99 – $199. But, with the help of some tools, users can activate Windows for free. Here, I am talking about KMSpico software. I am not promoting this software. But, this software can activate Windows and Microsoft office. With only one click installation, no license key required. And, you”ll surprise to know that. Windows activated through this tool are getting security updates. So, basically, it is the biggest security breach in Windows. Some tools can make Windows fool easily. This software isn’t new, people are using it for free since 2014. And, still, Microsoft isn’t able to do anything about it. Or, maybe Microsoft doesn’t want to because they are getting free users. Free users mean more data to collect. Yes, Windows isn’t like Mac OS that, Let anyone log in as administrator. But, Windows password also can easily be cracked. Microsoft introduced online authentication in the Windows 8. And, in Windows 10 Microsoft is making it default security feature. The password is something that we use to secure system. And, if Windows password easily can be bypassed, then how our files can be secure. There are many password-cracking tools available. The best to crack or bypass Windows password is called TunesBro WinGeeker. 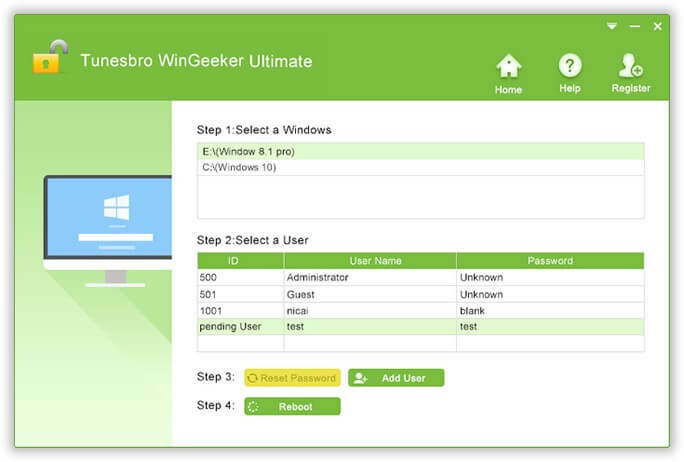 WinGeeker allows bypassing all version of Windows password without even knowing any details regarding the old password. You just need to create a bootable disk. And, when you boot from that disc, Windows will not ask for the password. After that, the user can able to log in without even entering the password. So, clearly, Windows is vulnerable. To save Windows from the installation of malware, Microsoft added “Windows defender security center”. It comes with virus and threat protection. But, do you think, is it the best antivirus program?. Well, according to AV test result, it isn’t. Sometimes, Windows defender detects legitimate software as malware. And, then does auto clean some important files of that software. Which leads to a software crash and other problems. According to some tests done by tech blog HowToGeek – Windows defender is managed to catch 95% of “widespread and malware”, along with 85% zero-day attacks. But, when we talk about the best antivirus Kaspersky, it managed to catch 100% and 99% respectively. Yeah, Windows Defender is good for small virus attacks. But, when it comes to ransomware attack, it fails. And, when you install any third party antivirus in your Computer, Windows defender starts creating conflicts. Microsoft isn’t like Apple, that takes care of users privacy. Yes, there is a privacy section in Windows settings App. But, have you ever checked, which option is enabled. Almost 70% of users don’t even know that Microsoft is collecting their personal information. After installing Windows, Microsoft asks you to continue through express settings. And, custom settings option comes in small letter. Express settings permit Microsoft to record that you type through the keyboard. So, basically, it works like the keylogger. And, the information you type through the keyboard, like name, address, and credit card details. All information is sending to Microsoft server. Even Cortana is recording, anything you say. If you’re Windows user, then I suggest looking at your privacy settings. Press Windows + I key simultaneously to open settings App. Then, go to privacy settings. Now, check these three sections in privacy settings. You”ll find out that, Microsoft collects information about the sites you visit. Express settings make these options enabled by default. Though, this isn’t a security bug. But, it’s something that user should know because no one wants to trade their personal information. If in future, someone hacks Microsoft server. Then, your security will be at risk. If you’re Windows 10 home user, then BitLocker will be missing in your Computer. It is available only for pro and enterprise edition. If you don’t know, BitLocker is the full drive encryption program. That uses the AES encryption algorithm in XTS or CBC mode with 128-bit and 256-bit key. BitLocker was first included with Windows Vista. But don’t know, why Microsoft think, it’s not useful for Windows 10 home users. Microsoft should include Bitlocker in every version of Windows. Because viruses like ransomware, encrypt users data. And, then does ask for money for the encryption key. If the user is using BitLocker, then it gives them an extra layer of security. This post was prepared and shared by TunesBro WinGeeker, and views expressed here are solely those of author. 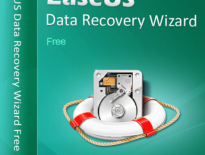 Recover Windows & Office Product Key from Unbootable PC?